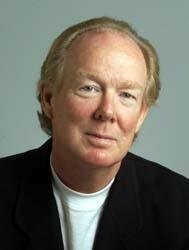 John Rosemond, the least favorite parenting authority of the ADHD/Pediatric Bipolar apologist crowd, wrote a wickedly excellent newspaper column that appeared in my local paper on May 3 of this year. I hope he does not mind if I quote from it liberally. Somebody wrote to him inquiring about a four year old who continued to throw temper tantrums when he could not have or do something he wanted. The writer thought that four years old seemed a bit old for this type of behavior, which is referred to in the vernacular as the “terrible two’s.” As in: two years olds. Dr. Rosemond noted that until recently, such temper tantrums were rare after a toddler’s third birthday. Only during the last two generations has that changed. He defines the “terrible two’s syndrome” quite clearly and concisely: tantrums, belligerent defiance, persistent impulsivity, and separation anxiety. Sounds a lot like the new bulls**t diagnosis for children that was proposed for the upcoming edition of the psychiatric profession’s diagnostic manual, the DSM-5, called temper dysregulation disorder. (I think the proposal has been dropped, but it may have just been renamed. We’ll see). Rosemond blames the recent prolongation of toddlerhood on parents who keep their kids at the center of their attention “in perpetuity,” and on the parents' enabling behavior. He defines the latter as “doing for children what they are capable of doing for themselves, however imperfectly.” As a further result of these changes in parenting philosophy, American society is now saddled with “large numbers of perpetually dependent children” who “don’t cope well with the realities of life." 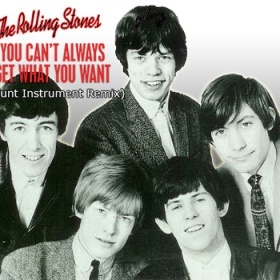 Central to these realities is neglect of what Dr. Rosemond cleverly refers to as the “Mick Jagger Principle:” You can’t always get what you want. Another very important point that he makes in his column is that the enabling parents are actually victims themselves. He states that there is tremendous peer pressure on parents to “enter into co-dependent relationships with their kids, and be constantly stressed, anxious, and guilt-ridden as a consequence.” I wrote extensively about the explosion of parental guilt and the peer pressure that reinforces it in my book, How Dysfunctional Families Spur Mental Disorder. But I have also experienced the peer pressure first hand. When one of my children was in college, she decided to take advantage of a “study abroad” program offered by the college, and spent a semester in Australia. In those days, internet connections were not up to what they are now, and overseas telephone calls were still relatively expensive. There was something around called a “phone card.” This pre-paid card allowed the person who bought it a certain limited number of minutes to spend talking on the phone. We gave our daughter one card for each month she was to be in Australia. Of course, she used up the first card in less than two weeks, and was then upset that she could not call us. She was, no surprise, experiencing a bit of loneliness. Well, when we mentioned this turn of events to a couple of our friends, they pounced on us with surprising ferocity. What was the matter with us? Why did we not just give her another card? We could afford it. Our daughter was lonely, and how could we just let her suffer like that. We were just terrible! Neglecting our parental duties! Listening to them, you would have thought we had just hired Ivan the Terrible to travel to Australia and impale her. Gee, loneliness. How awful! How unendurable! A bit shell shocked, we nonetheless stood our ground. The ability to delay gratification is a very useful skill to develop, and we wanted our daughter to be able to learn to do just that. I remember when I first went off to college. There were some days when I was very lonely – even somewhat depressed. I was barely 17, away from my family for the first time, and 400 miles away from my high school sweetheart as well. 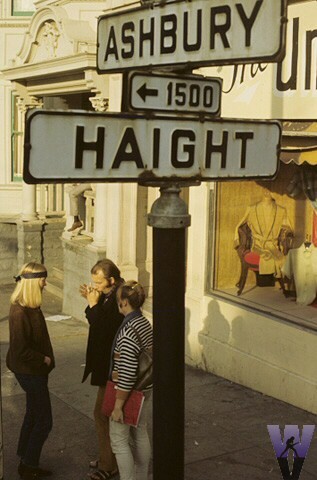 I was also in a very strange and unsettling (but fascinating) new world: Berkeley, 1966-1967, at the height of the Haight-Ashbury hippie days, before the hippies had been discovered by the media. Furthermore, almost all of the college girls I had contact with were older than me. (In those days, not only were cougars unheard of, but most girls would not date a guy so much as one day younger than them.) And girls were outnumbered almost two to one by the boys. And in those days, we didn’t call home at all, because long distance calls were expensive. We actually wrote letters. Snail mail. Getting replies took days or longer. Well, I somehow survived. And I wouldn’t trade that year for anything. Watching the Grateful Dead for free in Golden Gate Park before they had recorded their first record. Watching Jim Morrison invent diving into the crowd from the stage at a Doors concert. Dancing to the Jefferson Airplane, live, at the Fillmore Auditorium. And we had to hitchhike across the Bay Bridge to get there because none of us had a car. My parents would never have let me do that back at home. Priceless. Where Does Psychotherapy Go from Here? This post was written, with my input, by Gregg Henriques, Ph.D., one of my partners in the Unified Psychotherapy Project. So what will be psychotherapy’s next great thing? Will there be a so-called fifth wave? Individual psychotherapy (i.e., not counting systems views, which operate at another level of analysis) has seen four great waves. First, there was psychoanalysis, with its emphasis on the unconscious conflicts, early experience and transference. Then came behavior modification, stemming from learning theories organized into procedures for desensitization and changing contingences. Humanistic/experiential psychotherapy, which rejected the mechanistic determinism of both psychoanalysis and behaviorism and instead emphasized emotions, conscious motives, and human potential can be considered the third great wave. Finally, cognitive psychotherapy, with its emphasis on thoughts and interpretations, can be considered the fourth great wave. So, will there be another great wave in psychotherapy? Perhaps forms of Zen-based mindfulness? Brainwise therapies? Maybe something connected to the technological explosion? While these are exciting developments, we believe the next wave will be a different kind of wave; one that will bring consolidation and clarification to the field. Instead of yet another movement defined against those that have come before, what is desperately needed now is a systematic approach that provides a common language and conceptual framework that allows practitioners to see how the key insights from the major perspectives can go together to form a coherent whole. Moreover, such an approach will more directly connect psychotherapy to the science of psychology. Philosophers of science talk about fields moving from a pre-paradigmatic state where competing schools advocate fundamentally different visions of reality to a paradigmatic state where a shared frame emerges that aligns the key insights into a coherent whole. We believe psychotherapy is on the cusp of such a transition, and the next several decades will bring a much more unified vision of the field. Knowledgeable practitioners of the specific schools of thought will probably balk at the suggestion of conceptual unification. They will rightfully point out that the different perspectives are deeply anchored into fundamentally different visions of what it means to be human. To eclectically put them all together, they argue, yields a form of mush, something far less—not more—than the sum of its parts. The unsystematic blending of ideas is a weak intellectual solution. This is why the eclecticism of the 1980s gave rise to psychotherapy integration movement (also find a summary of Dr. Allen's contribution here) of the 1990s. Integrationists realized that a taking a bit from this perspective and a bit of that technique quickly leads to chaos, and over the past several decades integrationists have tried to carve out pathways to pull together different strands of thought with integrity. Yet the integration movement itself may be stalling, perhaps as a function of its own success. For as the integration movement has gained traction, various pathways and forms of integration have proliferated (e.g., common factors [what the therapy models all share], technical eclecticism [borrowing techniques but not theory from other schools], assimilative integration [borrowing some ideas from another school], and theoretical integration and so forth). There is so much variety and so little form that it is becoming increasingly meaningless to identify as a psychotherapy integrationist. "[P]sychotherapists behave like members of competing tribes, with different esoteric languages and rituals. Unification assumes that we all work in the same realm with the same processes regardless of the subsystem or specific domain we emphasize and specialize in. A unified model encourages us all to be aware of the larger picture and even if domain-specific treatment is undertaken, an understanding of the system and interconnections of domains and processes keep us alert to other possibilities for further developments." The point of this rather lengthy post is to share an outline of a unified model of personality and psychotherapy that is gaining traction and is providing practitioners a convenient way to think about individuals in a manner that is consistent with the major perspectives and modern personality theory. A more detailed articulation of the model was just published in a new journal, The Journal of Unified Psychotherapy and Clinical Science. (It is important to reiterate that what we are sharing here is a model of the individual, and thus it exists at a different level of analysis the family, group, or societal level). Let’s start with mapping the larger picture that Magnavita referred to. Here is a map that identifies the key variables that a professional psychologist would need to consider. The three circles in the middle identify the intersection of the three domains of knowledge most immediately relevant for a psychotherapist, namely personality theory (i.e., how are people built and what makes them unique), psychopathology (i.e., what are the kinds and causes of suffering and psychological dysfunction), and psychotherapy (i.e., what are the kinds of interventions and therapeutic processes associated improving psychological functioning and well-being). These three domains are imbedded three broad contexts. The red circle represents the Neuro-Biological context, with refers to a) the broad evolutionary history of our species; b) the unique genetic makeup of the individual; and c) the individual’s current neuro-physiological constitution. The green arrow represents the life history and developmental context, namely the distal and proximal variables that played a key causal role in the current situation. Finally, the blue circle represents the relational and sociocultural contexts in which the person (and therapist and therapy!) is embedded (think here of Bronfrenbrenner’s ecological systems model). Although in Freud’s psychoanalysis the trifocal points of psychopathology, personality and treatment were all closely connected, with the emergence of behavioral and cognitive therapies and the Diagnostic and Statistical Manual the field of psychotherapy has largely drifted away from personality theory and instead focused primarily on psychopathology. Current academic research generally matches specific interventions to psychopathology categorized by the DSM, with virtually no systematic attention paid to the individual’s personality make up. We believe that interventions should be guided by holistic conceptualizations, not just lists of symptom presentations. That means we need to systematically consider personality dynamics, as well as the biological, developmental, and social contexts. In this blog we share the outline of a view of personality can align us directly with interventions and conceptualizations that cut across the major domains of individual psychotherapy. A conference presentation at the 2010 meeting of the Society for the Exploration of Psychotherapy Integration in Florence, Italy vividly affirmed the need for a more unified approach toward conceptualizing people in psychotherapy. The presentation consisted of Drs. Leslie Greenberg and Paul Wachtel analyzing a videotape series of cognitive behavioral therapy for perfectionism conducted by Dr.Martin Antony . The patient was a motivated, attractive young woman completing a graduate degree in psychology who strove for perfection in many areas of her life. She was extremely focused on organizing, planning, and succeeding at everything she did. She also had occasional panic attacks and issues concerning her body image. What was striking about the presentation was how Dr. Antony focused almost exclusively on daily activities, habits and actions, and the thoughts associated with them. In contrast, her emotions, relational processes and internal working models, and the way she defended against uncomfortable images, feelings, or impulses were essentially ignored. For example, at one point in the first session, Dr. Antony inquired about the woman’s eating patterns and, with tears welling up in her eyes, she hesitantly reported that she purged about once a day. Dr. Antony made little acknowledgement of her feelings or of her pained experience sharing this information. Not surprisingly, Drs. Wachtel and Greenberg criticized the way these elements were glossed over. Indeed, at one point, Dr. Greenberg commented that he did not believe that cognitive behavioral therapies treated the whole person. It is likely, however, that a cognitive behavioral therapist might retort that Greenberg’s EmotionFocused Therapy similarly does not focus on the whole person but only the emotional part. Or perhaps the individual would question the assertion by arguing that no system focused on the whole person in the manner that Greenberg implied. We believe there are holistic maps of individuals that can guide practitioners and connect psychotherapy to both modern personality theory and psychopathology, and we share the outline of our approach here. This post, which originally appeared on Dr. Henriques's Psychology Today blog, complements a prior recent post, AnotherBig Five for Personality, which articulated that one of the major distinctions in personality theory has been between temperament and character. Temperament (i.e., traits) refers to the broad and general dispositions of an individual; in contrast character refers much more to one’s unique identity and what is learned in particular situations. Personality research and theory has varied in terms of its focus. Although Freud’s theories and other early formulations were initially concerned with character, in the 1950s research on traits exploded, and the ‘Big Five’ (i.e., traits of extraversion, neuroticism [emotional reactivity], agreeableness, conscientiousness, and openness) probably represent the most prominent work in personality over the past several decades. Although traits are crucial to consider for a good conceptualization (see, e.g., Singer’s excellent book Personality and Psychotherapy), it nevertheless is the case that traits are broad, general dispositions that are quite stable in adulthood and unlikely to be largely modified. Thus, they are not really the central focus of psychotherapy interventions. Thankfully, personality researchers have begun to recently turn their attention back to character. Dan McAdams’ has, for example, argued that character can be further divided into characteristic adaptations (the ways an individual specifically learns to adapt to specific situations) and identity (one’s self-concept, self-esteem, philosophy of life), and he argues for a tri-level view of personality (traits, characteristic adaptations, and identity). McAdams has focused much of his attention on identity, and noted that there is “no general Big Five theory of characteristic adaptations”. 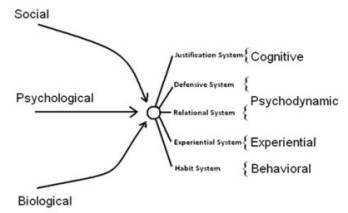 What is remarkable is that work on a unified approach to conceptualizing individuals in psychotherapy has been developed that delineates precisely what McAdams said was missing—it offered a ‘Big Five’ map of the systems of characteristic adaptation! Delineated in the prior Big Five blog, the five systems are, in order of development: 1) the Habit System; 2) the Experiential-Affective System; 3) the Relationship System; 4) the Defensive System; and 5) the Justification System. Here is the map (for a more detailed discussion, see here). 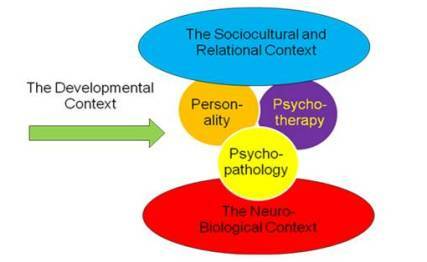 On the left side, the three broad contextual domains (biological, developmental and sociocultural) are represented. The circle in the middle represents the personality of the individual, specifically the systems of adaptation that are often the focus of interventions. These systems are described in a previous blog. From the vantage point of developing a conceptualization useful for psychotherapists, here is a brief description of each domain of adaptation, with questions about each that might be asked. Are there dominant emotional states that are chronically active/accessible, emotions that are expansive or under regulated? What about emotions that are over controlled? Does the individual know how he feels? Can he “get in touch” with his feelings? Is there harmony or alienation between the explicit justification system and the experiential system? What is the general degree of emotionality? Levels of trait extraversion? What about levels of trait neuroticism? Is the individual able to stay centered and mindful of what is happening at the experiential level? Can the individual express his feelings effectively? Does the individual have trouble with experiencing all or some emotions? Are there secondary emotions that are covering up primary emotions? Has there been a trauma that overloaded the experiential system? Does the individual experience strong images or flashbacks? Does the individual have gut feelings or a sense of things being either good or off? Is there a lot of fantasy or day-dreaming? Are there any unusual/bizarre sensations or experiences (i.e., hallucinations)? What is the person’s sense of relational value…to what extent do they feel generally respected, admired, loved and appreciated as opposed to neglected, rejected and criticized? Has that changed recently? Does the individual generally feel secure in her relationships? Do they have issues with trusting others and do they ever get paranoid? Do they have intimate connections with others? Have they had a lot of relationship failures? What was the attachment history? What were their early relationships (parents, siblings, early friends) like? Have they experienced a traumatic loss or betrayal from another? Is the individual more agentic (self-focused, concerned with power and autonomy) or more communal (other focused, concerned with affiliation and connection)? 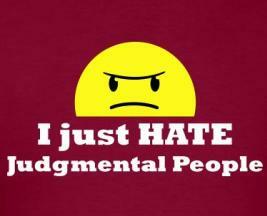 Is the person more or less agreeable? How does the individual handle conflict? Are they aggressive, assertive or submissive? Do they adopt a fairly agreeable or hostile stance in relationship to others? Are they particularly sensitive to criticism or rejection? Do they fear abandonment? Do they have trouble being alone? Do they experience conflict between relationship motives of power and love or autonomy and dependency? When down, do they experience splits between feeling shameful (feel they are to blame) or hostility (feel others are to blame)? Does the individual seem guarded, hesitant to disclose, resistant to elaborating on all or certain elements of their story? Do they get words or body language in response to certain questions? How do they cope when they feel stressed? Do they engage in rationalizations or suppression/repression or other similar processes? What do they try to avoid feeling or experiencing? Do they have any affect phobias? Core fears? 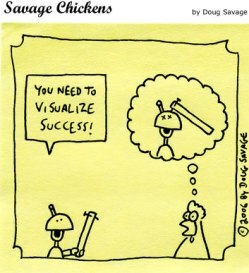 Do they demonstrate good insight and are they able to reflect on what drives them? Can they laugh at their foibles or defense? Or does such conscious self-reflection activate anxiety and a closed off response? When does their attention shift? Do they systematically shift away from certain topics? When do they seem less clear, less focused? Are there times in which it is hard to follow their logic? What is the general functioning of their verbal system (i.e., their verbal IQ)? Vocabulary usage, complexity of sentences, etc. To what extent is their identity coherent and complex? It is rigid, certain, simplistic, hard and foreclosed? Or is it multifaceted, open to criticism, textured? What is the level of ego development? Do they reflect on who they are and why? Are they able to give complex, textured answers to reflective questions or are they brief and underdeveloped? What is their driving purpose in life? Do they connect to a higher power or follow particular religious teachings? Do they care about politics or have active views/philosophies regarding how the world works? Are they concerned with their own local reality or do they reflect on where values come from, where the country (or world) should be headed? What is the degree of self-regulation and self-control? What is their level of conscientiousness? What about their need for control? Do they exhibit a lot of self-discipline or are there problems with impulsivity? What is their self-esteem? Do they engage in a lot of self-criticism and negative self-talk? Is there an internalized parental voice constantly judging them? Do they have core beliefs about self that are negative? Or do they see themselves as a positive protagonist in the story of their lives? What is their general level of self-efficacy? Do they perceive themselves as resilient and capable of handling things or weak, an emotional wreck? Do they have high levels of agency? 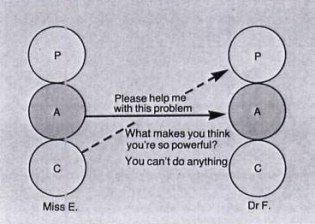 Adaptive levels of an internal locus of control? Are they known to others or do they frequently filter their private thoughts from their public thoughts? What is the individual’s overall evaluation of their life? Their reflective degree of life satisfaction? Now where did this map come from? It came from applying the lens of a unified model of psychology to the key insights of the major perspectives in psychotherapy! And that is the point we want to make here. The major perspectives align with each of the domains of characteristic adaptation! Here is the alignment. When approached from this angle, modern personality theory meshes well with the various approaches to psychotherapy. And it is clear that the various approaches in psychotherapy have emphasized different domains of character adaptation. Our perspective is that the time has passed for the single schools with their specific interventions targeting only a part of the system. Instead, what will be revolutionary about the fifth wave is that it will lay out a truly comprehensive vision of psychotherapy that connects to the science of human psychology in a manner that allows us to appreciate our humanity grounded in the knowledge of science. Many of the strategies described in the Disarm posts need not be limited to dealing with family members who have significant borderline behavior, but work well on anyone trying to avoid telling you that they are purposely frustrating you because they do not want you to pursue certain lines of questioning. In the second, upcoming post I will describe a strategy used by people who do not want to tell you their real motives for why they did or did not do something - thereby blocking your efforts to understand them and their motives better: descriptions masquerading as explanations. In this post, I will cover a problem that crops up when one family member questions another family member about his or her relationship with a third party. I call it judgments masquerading as descriptions. This applies in situations in which the goal for the metacommunicator is to avoid being triangulated into the relationship of two other family members who are at war with one another. According to family systems theory, when any two family members are having an unstable relationship, they will often rope in a third party as a sort of buffer. Two of the three members of the triangle may seem to gang up on the third, but there is usually much more to the story than that. If deemed necessary, the alliances can quickly shift, so that the person ganged up upon can suddenly join either of the other two parties to gang up on the third, who had previously been allied with the other member of the triangle. The goal of triangulation is avoidance of the underlying conflict, not its solution. In the process of roping in a potential triangulee, so to speak, one of the original warring dyad – will call him #1 - will tell stories about the other (#2) designed to provoke outrage at #2. #2 will be said to have engaged in some dastardly behavior or other. In this situation, in order to prevent triangulation, The metacommunicator (#3) should then try to get a more complete description of what has transpired, to make sure that #1 is not leaving out any information that might change #3’s perspective about both the events in question and the reasons why #2 may have reacted the way he or she did. When first asked about a particular interactional relationship episode, #1 may respond with a rather global judgment about the other person involved rather than a specific description of what actually took place. A typical scenario in which #3 might conclude that he or she is being misled might go something like this: #1 states globally that her father tries to control whatever she does. Dad might, unbeknownst to #3, call her incessantly on her cell phone whenever she goes out on a date. Upon further inquiry or observation, however, #3 learns that the father bankrolls his daughter’s every whim, no matter how reckless, whenever she asks him for money. #3 then draws the incorrect conclusion that the patient’s characterization of the father as “controlling” is completely distorted. Notice something peculiar in this particular case. If #1 knows that #3 may come to know facts which would call into question #1’s “judgment” about #2, then the goal of #1 may be to provoke #3 into siding with #2! In other words, the goal of the triangulators may be to create a situation in which two people gang up against them!! Also, if #2 creates the situation in a way that keeps it rather ambiguous as to exactly who did what to whom, this allows #2 to manipulate the triangle so that the potential metacommunicator can be provoked to change sides several times over the course of a long period of time, depending on what seems useful at the time the switch is provoked. In order to avoid this scenario, it is important to find out exactly what behavior the father engages in that leads #2 to use the term “controlling.” In other words, what specific behaviors and suspected motives of the father are entailed by #2’s use of the term? Even people whom most others would find very power-oriented do not try to control absolutely everything that their family members do. They would not in most instances care, for example, what time family members brushed their teeth. In this case, for example, the father is attempting to control his daughter's dating life, while letting her do whatever she wants in most other areas of her life. In fact, he seems to be enabling her to do what she wants in those other areas. So the judgment "controlling" is both correct and incorrect simultaneously. Nobody is one was all of the time when it comes to almost any conceivable characteristic. To think otherwise is black-or-white thinking, or "splitting" if you will. #3 must be a good investigative reporter and ask for specifics using follow-up questions. He or she should ask for detailed examples of misbehavior by other family members, and run down implied but unspoken implications. In the above case of a judgment masquerading as a description, #3 should ask for illustrative examples. He or she could ask, “What exactly is your father trying to make you do or not do?” If #2 responds with another global generalization such as, “Everything!” #3 should persistently ask for some prototypical examples. To summarize, to find out what #2 really means, #3 needs to ask for behavioral descriptions, not just the patient’s opinions regarding the other person's personalities. Metacommunicators must ask follow-up questions. They can ask for clarification of vague or confusing statements and inquire about seemingly insinuated but unspoken implications. To continue with the example a woman who described her father as “controlling,” the metacommunicator would learn much by asking the patient the following additional questions: What do you mean, in behavioral terms, by “controlling”? What is your father doing and saying that indicate that he wants to control you? What do you believe to be his motives for wanting such control, and on what do you base this belief? What part of your life do you think he wants to control? What exactly is he trying to get you to do or not do? How does he go about trying to control these aspects of your life? Under what circumstances does he act in such a manner, and under what circumstances does he not act that way? What are you doing or saying that might be provoking a “controlling” response? In obtaining concrete descriptions of interactions rather than globalized judgments, it is also important to find out what the people in the described relationship vignettes actually said to one another. Finding out specifically who said exactly what to whom in reported conversations that were conflictual, adversarial, or anxiety-provoking for someone often adds a tremendous amount to a person’s understanding. Family members who may otherwise omit important details often are able to provide very accurate details of affect-rich conversations because such conversations are so emotionally salient for them. One should try also to elicit as much as possible about the whole conversation, not just a part of it. In particular, the way conflictual conversations end may provide important details about the patterns of mutual invalidation that often characterize poor communication in families. Statements such as “Mom did not respond at all after I told her that” are ambiguous and should trigger further requests for clarification. What did Mom actually do at the point of “no response”? It is impossible to not behave. Did Mom turn around and walk out of the room? Stare silently into space as if in a trance? Roll up into a fetal position? The answer to such questions allows #3 to better understand #2’s need for avoidance and ambiguity in their discussions of important issues. The more specific and detailed the questions you ask, the more accurate the picture of the other’s relationships becomes. After the Feds did their job, the states are now getting into the action. Pharmaceutical companies are now starting to be fined in state courts for fraudulent promotion of their psychiatric medications. Anyone who is still wondering why there has been an explosive increase over the last two decades in the use of two classes of psychiatric medications - so-called “atypical” antipsychotic medication and anti-convulsants - for the treatment of a variety of diagnoses for which they are not indicated need look no further than to my previous posts about U.S. Department of Justice fines levied against pharmaceutical companies for said fraudulent promotion. (2/17/10, 3/22,10, 3/27/10, 4/28/10, 4/30/10, 10/1/10, 12/20/10). This blog has also focused on how, with an enthusiastic assist from pharmaceutical companies, the definitions of the psychiatric disorders for which the drugs actually are indicated have been expanded to the point where they are in danger of becoming FUBAR’S (F***’d up beyond all recognition). May, 04. American pharmaceutical manufacturer Warner-Lambert agreed to plead guilty and pay more than $430 million to resolve criminal charges and civil liabilities in connection with its Parke-Davis division’s illegal and fraudulent promotion of Neurontin. One of these uses was for bipolar disorder. Studies later indicated the drug was ineffective for bipolar disorder. January, 2009. Eli Lilly pays a settlement to the DOJ of $1.4 billion for concealing side effects and off-label marketing of Zyprexa just as their biggest seller, Prozac was about to go off patent in 2001. April 2010 - AstraZeneca fined $520 million – off label marketing of Seroquel. April 2010 - Ortho-McNeil-Janssen Pharmaceuticals Inc., fined $81 - off label marketing of Topamax. September 2010 - Novartis Pharmaceuticals Corporation fined $422.5 million off label marketing of Trileptal. December 2010 – Elan Pharmaceuticals fined $203 million – off label marketing of Zonegran. 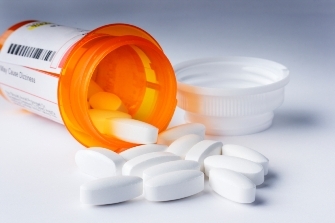 Now the states of South Carolina and Arkansas have fined Ortho-McNeil-Janssen Pharmaceuticals, a subsidiary of Johnson and Johnson, for overstating the effectiveness and minimizing the risks of their antipsychotic medication Risperdal. The following summaries of what happened are paraphrased without permission from the American Psychiatric Association’s Psychiatric News. These legal actions were also widely reported by the press throughout the country. A South Carolina judge upheld a $327 million civil penalty against Johnson & Johnson for overstating the safety and effectiveness of Risperdal. A jury had decided that they violated consumer protection laws by sending doctors a misleading letter in 2003 about this. The jurors also determined that the warning-label information was deceptive. They found that the company had falsely claimed that Risperdal was better than competing drugs in a letter was sent to some 700,000 doctors nationwide,. The Food and Drug Administration (FDA) issued the company a warning letter about false and misleading claims that minimized risks such as diabetes and overstated the drug’s benefits. South Carolina’s law allows a judge to decide whether the company can be fined as much as $5,000 for each letter sent to South Carolina doctors. Johnson & Johnson "lied to patients and doctors" in its claims about Risperdal, said Arkansas Attorney General Dustin McDaniel, after a jury found the company guilty. This is the latest case regarding fraudulent claims about the company's second-generation antipsychotic). The jury determined that the company downplayed and hid risks associated with the drug, which has been linked to increased risk of stroke and death in elderly dementia patients and to seizures, weight gain, and diabetes. After the jury's decision, Arkansas Circuit Court Judge Tim Fox, issued a penalty of $1.19 billion for the nearly 240,000 violations of the state's Medicaid fraud law. The New York Times reported that he also fined the company $11 million for violations of the state's deceptive practices act. Like the title to one of my previous posts, the hits just keep on coming. Unfortunately, the companies are treating these fines as a cost of doing business and are still making huge profits on these medications. They know quite well that the damage has already been done. With Rispiridal, it’s kind of a shame, since in my clinical experience its side effect profile in some ways actually does compare somewhat favorably with two of its main competitors - for patients who are actually psychotic, of course. When and How Can a Parent Stop Parenting? 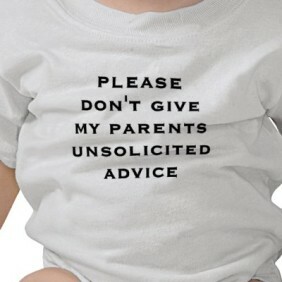 In her column of 9/13/09, a letter writer asked Dear Abby: “At what point does a parent stop giving unsolicited advice? It is painful to watch my "child" repeatedly make choices that aren't in her best interest.” The writer's daughter was 43. After describing some self-destructive behavior by her daughter, the writer added, “Although I am trying to keep my mouth shut, she tells me she "feels" my disapproval… Must I duct tape my mouth shut? The relationship between parents and adult children is by its very nature a bit of a mine field. In order to rear their children properly, parents have to discipline them. Parents have to tell children what to do, what not to do, and how to behave in various social situations. Parents have to find ways to make their children follow these parental directives. Good parents continually set limits with their children. The difficulty is, when is this supposed to stop? Does the child suddenly become capable of making his own enlightened choices by virtue of having lived eighteen years? Should parents ignore the wisdom of their added years and never advise their adult children about anything? If the parents do persist in giving counsel, how upset are they going to be if the child chooses not to follow their sage advice? If a parent suggests a course of action over a particular issue, will the adult children feel infantilized? Even with peers who are not relatives, the issue of when and when not to give advice can get to be problematic. In Eric Berne’s psychotherapy model, transactional analysis, he shows how asking for and giving advice can become a “game.” On the surface, two people may seem to be engaged in an “adult to adult” conversation, but the subtext may be entirely different. One member of the dyad may be acting like, say, a helpless yet petulant child trying to frustrate the other member, who may be acting out the role of an exasperated parent who thinks he or she knows what is best for the other person. When the two parties actually are parent and child, the question of whether or not there is a hidden agenda being acted out becomes that much more complicated. The parents may claim that they are “just expressing their opinion,” while the adult children feel like they are being told what to do as if they had no valid opinions on the subject themselves. Is the parent’s advice merely an opinion, or is it a directive (a command telling the child how to behave)? Unless parents and adult children are adept at metacommunicating about this issue (talking about the way they talk to one another), tension is bound to develop. This situation becomes compounded exponentially in those situations where the parents themselves are highly conflicted about the advice they give. They may be unsure of and unhappy with their own choices in life, but cannot admit that even to themselves - let alone to their adult children. In such a case, two events frequently transpire: the parents bring up the issue involved rather often — because they are themselves preoccupied with it — and they give out a double message. The offspring often interpret the advice to mean “Do it because I did,” but almost simultaneously, the way the advice is given may also have elements suggestive of “I hope you don’t have to do what I did and become miserable like me.” Whenever this chain of events takes place, a question about the motivation behind the parental advice giving is invariably created for the child. The child must choose between two possible presuppositions. As mentioned, either the advice is meant as a directive or is merely the parent's opinion about a controversial issue. The frequency of the advice giving will most usually indicate to the child that how he or she behaves is a matter of grave concern to the parent. Therefore, the younger family member will presuppose that the parent's statements about the issue are directives or instructions. But which part of the double message should the children heed? In situations where the advice is given ambivalently or is part of a double message, they will then make an effort to determine, using principles of ordering environmental cues that I describe in my book, Deciphering Motivation in Psychotherapy, which side of the double message to follow. Consider the example from that book of a woman I will call Trudy and her mother. Trudy was having all kinds of anxiety symptoms over making a decision to really commit to her boyfriend. Her mother had said on numerous occasions that "marriage is a mixed blessing: one has to take the bitter with the sweet." One could interpret this as sage advice on the wisdom of not expecting perfection and retaining one's equanimity in the face of unavoidable adversity. Nothing in the lexical content of the statement indicates that Trudy's mother was commanding her to behave in any particular fashion or make any particular choices regarding marriage or spouse selection. The statement can be viewed as an expression of the mother's opinions about life and as good advice - nothing more. On the other hand, the fact that the mother seemed compelled to drive this point home by repeating it over and over again suggested otherwise. The statement began to sound like a warning: "You'd better watch out! If you get married, you'd better be prepared for all the bitter you're going to get along with any sweet!" Every time the mother would talk about the good points of relationships, she seemed to be throwing in a warning about it. Not only that, but her frequent repetitions indicated to the daughter that the mother was very concerned about whether the message had been heard loud and clear by Trudy. Perhaps she was worried that Trudy had not understood it the first twenty times it was said. Naturally, Trudy began to worry about the consequences of getting involved with men. She became concerned not only that she might be in for a rough time, but also, for some reason, that her mother might become very upset about it. What Trudy did not realize was that the mother's repetitions indicated that she was trying to convince herself, not Trudy. In any event, the motivation presupposed by the mother's statement was in question, and the patient had been forced to guess what was correct. A good therapist would be alert to the possibility that Trudy may have guessed wrong.